Filling up at the petrol station can be a chore, with long lines, rising petrol prices and scrambling for that discount docket becoming a way of life for many motorists. With petrol generally becoming increasingly expensive, many consumers are now on the lookout for discounts, and often switching petrol chains for a better deal. As a result, many chains now offer a fuel card to entice motorists back, with special deals on fuel and extras looking to make a difference on consumer’s back pocket. One of these companies is BP, a goliath of the Australian petrol market, with more than 1,400 locations available around the country. With beginnings back in 1908, and an Australian expansion soon after, BP has been a mainstay within the global market, with a variety of fuel options and extras available for all motorists, regardless of what they drive or how often they travel. With multiple fuel cards available to consumers, read on to find out just what incentives and savings BP has to offer. BP’s main fuel card, the BP Plus, is readily available via an online application, and has been a handy tool for businesses on the go, with plenty of features and discounts across a variety of fuel types and in-store purchases. With plenty of security features also available, business owners and key decision-makers can keep a close eye on all transactions and business expenses, as well as set transaction limits. BP Plus cards can be used at all BP service stations, truck stops and truck-friendly sites, as well as select stores that have carwash facilities and Wild Bean Cafés. Cards can be tailored to suit individual business needs, including selecting fuel types and limiting in-store purchases, ensuring the card isn’t used for personal transactions. Additionally, businesses can add extra security measures, which include PIN codes and signatures, as well as order personalised cards with the cardholder’s name to ensure that there’s no confusion when it comes to paying the bill. 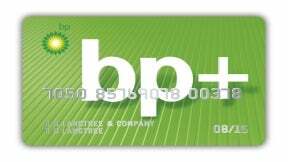 For those looking to make big on the fuel discounts available, the BP Plus card allows access to the BP Specialist Discount Network, a partnership amongst companies such as Beaurepaires, Bob Jane T Mart, Bridgestone, Goodyear, O’Brien Autoglass, Tyrepower and UltraTune to help take care of all your vehicle needs. Additionally, the BP Plus fuel card can also be used for warranty servicing at some participating car dealerships, handy for the mobile workforce. From a business perspective, many of the benefits of the BP Plus come from its online capabilities, with receipts, invoices and statements all available on your online account, or via the BP app, which will come in handy when it comes time to do your tax return. The BP Plus app is available for free on both iOS and Android, and can also review transactions as well as order new or replacement cards. 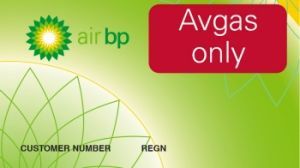 For those looking to make the most of their petrol purchases, BP has also aligned with Virgin to allow consumers to rack up the Velocity Points on both fuel and in-store purchases. Consumers will gain two Velocity Points per litre (up to 150L) and two points for every dollar spent on in-store purchases (up to $100). Consumers can also simultaneously use Velocity Points to save anywhere between $10 and $60 on fuel or in-store purchases. For more remote areas, the BP Regional Fuel Card is an incentive to help those who live in areas where petrol stations were few and far between. While still valid, BP has discontinued any new Regional Fuel Cards from being issued, instead substituting the BP Plus Card for consumers, regardless of where they live. For those looking to update their details, or switch to a BP Plus card, can do so via BP’s website. With Australia one of the largest countries on the planet, sometimes driving just isn’t an option, with some in more remote locations more partial to light aircraft than a car. And while they might miss out on traffic, finding a place to fuel up can be more of a challenge. As a result, BP does offer a fuel card to allow those partial to flying access to over 70 refuelling stations around Australia, as well as access to Air BP’s 24-hour carnet operated self-service dispensers. The Air BP Carnet Card is available after an online application, with the fuel card available for Avgas and Jet A1 fuel, but unfortunately the website does not outline the discounts available with the card. Another free app, BPme assists businesses in keeping an eye on their expenses, as well as control the BP Plus card via their smartphones. Additional extras also allow consumers to pay for their petrol from the comfort of their own car, handy for those cold nights, or those in a rush. Is a BP Plus fuel card worth it? For many businesses, petrol can be a noticeable expense, and one that can often cut deep into profit margins. As a result, fuel cards can often be a saving grace, with discounts at the fuel pump enough to save businesses from falling into the red. While fuel cards offer different incentives and savings, finding one that will suit your business may be as challenging as finding cheap petrol prices, but may be worth the trouble. While there are savings to be had, it’s best to do your own research when it comes to fuel cards and which petrol chain you decide to go with, with your location, your driving habits and your business goals all factors in selecting a fuel card. BP is certainly a contender, with plenty of locations around Australia and plenty of savings offered, but as with any good business decision, research is always recommended first.